Here are some software projects that I'm particularly proud of. 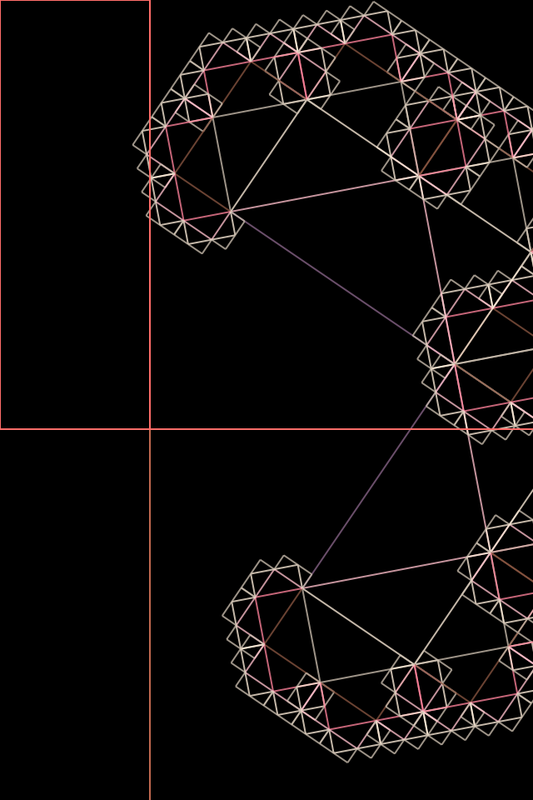 An iPad/iPhone app to discover the art of recursive drawing through touch. Use a different number of fingers while touching to draw different recursive shapes, and watch them as they animate with pretty colors. Change color themes by double-tapping. The major iOS frameworks used here were Quartz2D and CoreAnimation. Depending on how many fingers you use to interact with the application, a different recursive drawing will animate itself. 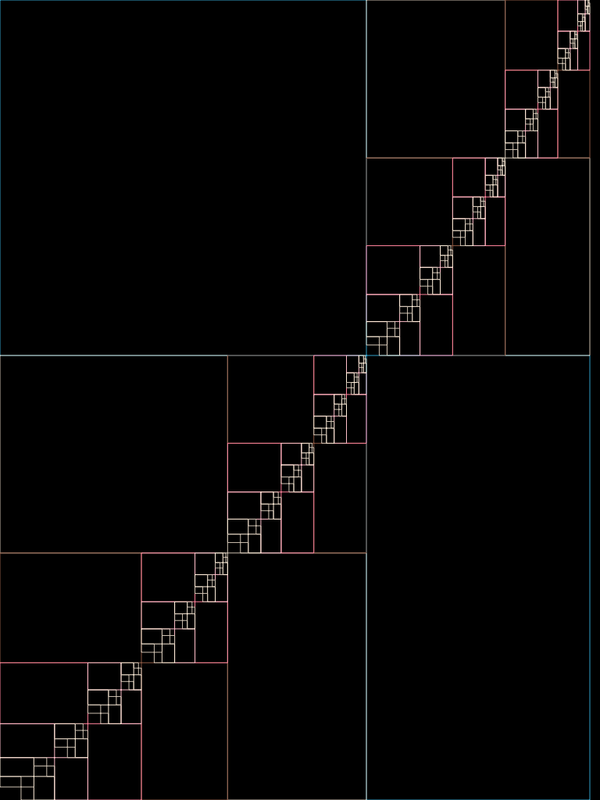 Here's an example of using one finger in the middle of the screen to recursively draw these boxes within each other. 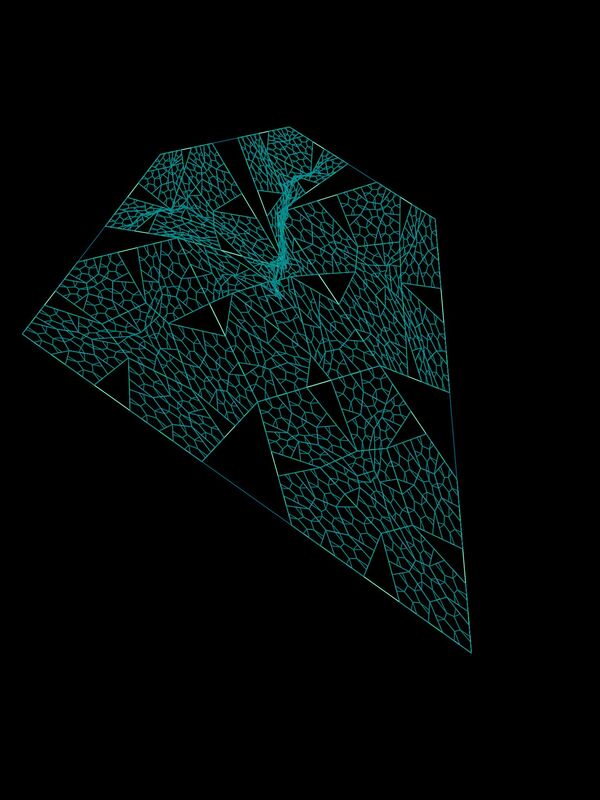 Whenever a shape is drawn, it draws itself one recursive level at a time, so you can see exactly how the recursion works to form the complete image. You can double-tap to change between a variety of built-in color themes. Here's an example of using two fingers to draw a Levy. Android app that allows you to influence the party's music by voting for upcoming songs and rating previously played songs. Created at PennApps 2011. Won the "Greatest Potential" award. 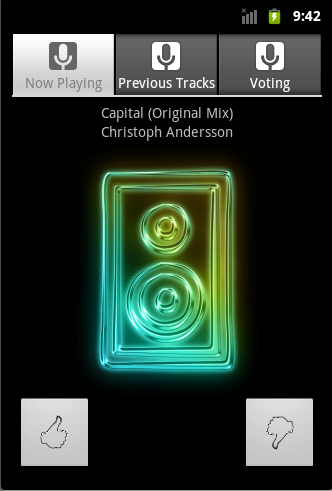 Now Playing let's you see what the DJ is playing right now and rate it. Vote for upcoming songs to get what you want to hear. 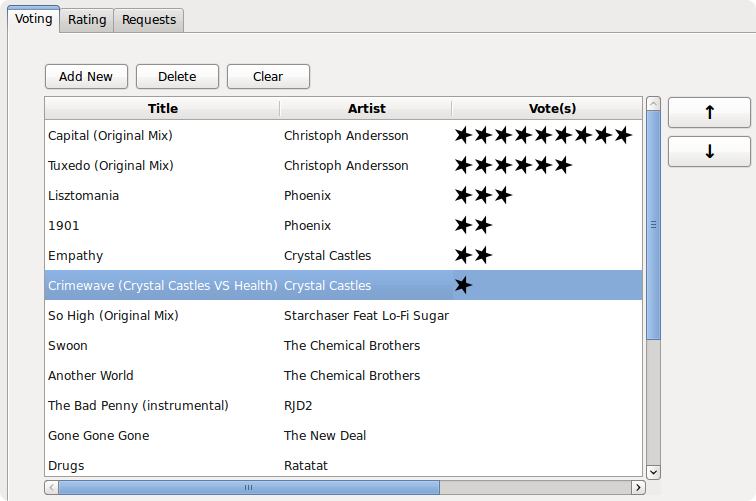 On auto, DJ Feed will play songs with the highest votes within a playlist. Look back at what was played last night with Previous Tracks. Import your current playlist and watch the stats. People's votes get updated in real time, and the top songs pop up. Review what people thought of songs you've already played. You can also choose to take requests from the crowd. A Hearthstone playing robot that reads game logs to determine current plays by opponent, and UI automation to control the mouse and play the game via UI interaction. Employs simple statistical models of game situations for determining playing strategy, & a behavior fuzzing mechanism for avoiding bot detection. Never used in an unlawful manner, just for fun. The Objects, Arrays, and Types programming language. 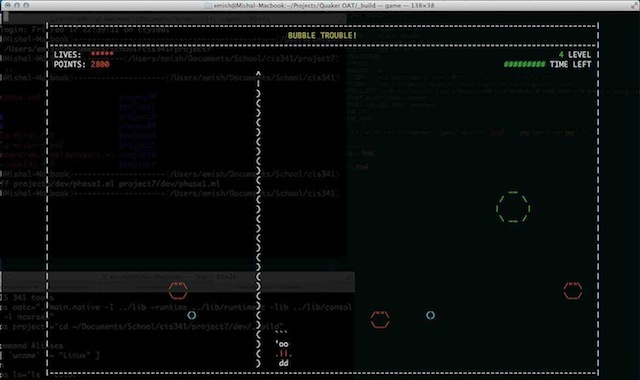 Wrote the parser and compiler with a buddy in OCaml, then we showcased it's greatness in a little terminal game. This game is written in our custom OAT language and built with the compiler we created. In this early childhood game, you have to pop all the bubbles using a harpoon. 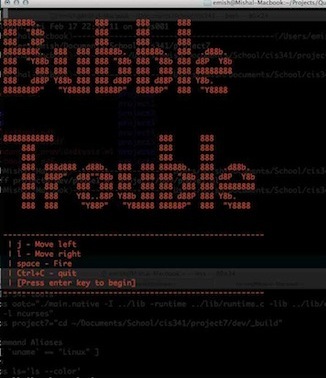 Larger bubbles split into more bubbles that you have to take care of too. The drawing is taken care of by ncurses, which is linked to OAT as a C library. An assembly language interpreter created in Haskell. LC4 is an improved version of the known LC3 (Little Computer 3) language developed at the University of Pennsylvania. We decided to create this psuedo-debugger as a way for students first learning the language to debug their assembly code.